Oil and gas companies, along with oil stocks, have suffered over the last couple of months. After having enjoyed a steady increase in the price of oil over the last two years, crude began to fall off. The crude oil price peaked on Oct. 3 at just under $77. In a little more than two months, the oil price market yielded all the gains made in the last two years. Many upstream (exploration and production) oil companies have seen their fortunes plummet along with this swoon. With the crude oil price having fallen below $50 per barrel, fewer fields can turn a profit. Upstream oil stocks have suffered as a result. The heavily indebted Chesapeake (NYSE:CHK) has lost more than 50% of its value in this time. It now approaches multi-year lows near the $2 per share range. Even more stable upstream companies such as ConocoPhillips (NYSE:COP) have fallen by more than 20% since early October. BP (NYSE:BP) might seem like a strange choice at first glance. Those looking at the chart see a stock that has been stuck in a range for more than 20 years. Moreover, most of the news surrounding BP focuses on their upstream activities. Many will argue that their reputation still suffers from the Deepwater Horizon oil spill in 2010. Even this year, it has fallen about 19% from its October highs. Despite the headlines, a substantial portion of their revenue comes from downstream activities. Furthermore, income investors should pay attention to its dividend. Since 2010, their dividend has steadily increased. BP also increased its payout this year. 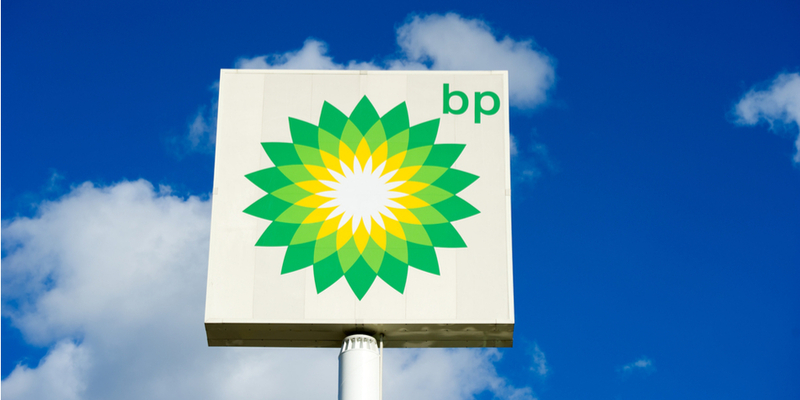 Holders of BP stock now receive an annual payout of $2.46 per share. At today’s prices, that takes the yield to about 6.5%. Even if BP stock stays range-bound, the dividend gives income investors an incentive to buy at these levels. The forward price-to-earnings (P/E) ratio comes in at about 10.4. Although analysts forecast a modest decline in profits for 2019, they see double-digit profits returning in 2020. Both of these factors could also draw growth investors to BP stock. Time will tell whether the recent drop created a buying opportunity in BP stock. However, the high, stable dividend and a low P/E ratio mitigate much of the risk with BP stock. Admittedly, Dominion Energy (NYSE:D) requires an asterisk when including it in a list of oil stocks. In a technical sense, Dominion is a utility, not an oil company. However, its natural gas-related assets make it one of the more critical stocks in the energy industry. For one, the company maintains a large natural gas storage system. However, more importantly, it owns the Cove Point natural gas export facility in Maryland. Only three of these facilities currently operate in the United States. Cheniere Energy (NYSEAMERICAN:LNG) owns the other two. This brings a lucrative opportunity to both producers and consumers that did not exist in prior decades. Natural gas in Europe trades at more than $8 per 1000 BTUs. This comes in at more than double the current U.S. price of around $3.60 per 1000 BTUs. Cove Point will help bring America’s much cheaper natural gas to both Europe and Asia. It also gives Europeans a value alternative to the Russian natural gas on which they have long depended. Investors who buy D stock will gain the stability that comes with a utility. They will also enjoy a dividend yield of around of about 4.5%. Moreover, the payout of $3.34 per share this year has increased for nine years straight. 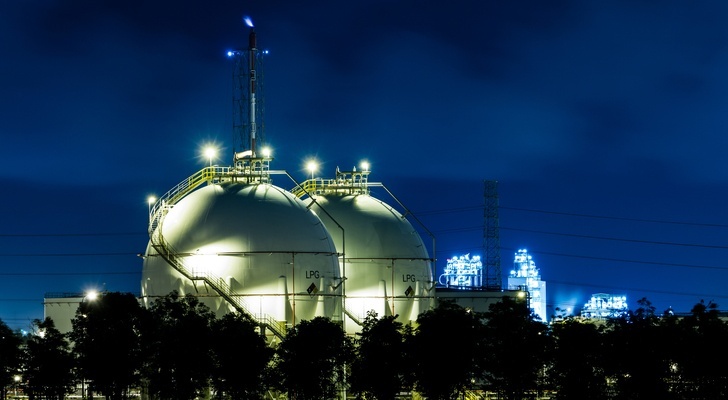 Between the utility business and its place in the burgeoning natural gas export industry, this growth will likely continue for years to come. 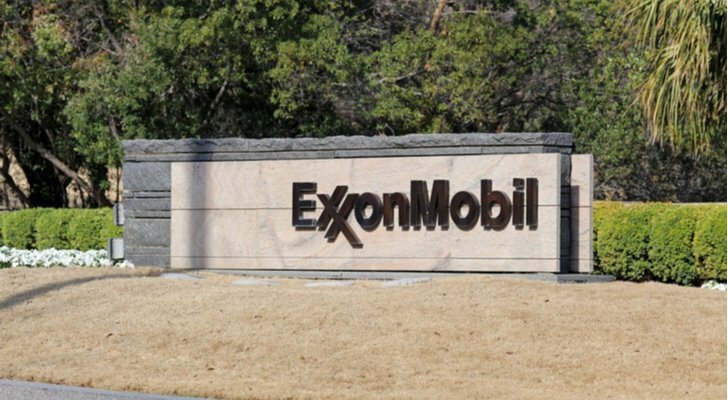 Among oil stocks, many investors turn to Exxon Mobil (NYSE:XOM) in a falling oil price environment. As the nation’s largest oil and gas company, it has become a beacon of stability in this industry. Moreover, it involves itself in all parts of the industry. Hence, its midstream and downstream operations provide stability in times where drilling activities produce less profit. Many buy XOM stock for the dividend. With a 35-year history of annual dividend increases, it continues to show its stability even in the worst environment for oil prices. This year’s dividend payout of $3.28 per share gave investors a yield of 4.5%. Hence, this bests Chevron (NYSE:CVX), its most-similar peer and offers new buyers an incentive to open a position. XOM stock also trades at a discount. Over the last five years, it supported an average P/E ratio of about 21.4. Today, it trades at about 13.4 times earnings. Also, thanks to the decline of about 19%, the XOM stock price has fallen to levels last seen in 2010. This also takes XOM below levels seen at the low point of the oil price slump in 2015. With a high dividend yield and what looks like an excessive selloff, investors can buy this asset at a deep discount and enjoy a generous, growing payout as they wait for a recovery. The recent oil price slump has also created a possible opportunity in Phillips 66 (NYSE:PSX) stock. PSX is a diversified midstream play. It not only refines crude, but it also operates in the chemicals and marketing segments. This insulates the company from falling oil prices. It also provides stability even when margins in refining fall. Despite its diversified business lines, PSX stock has seen a steady drop-off since July. The plunge accelerated in October, and now PSX trades at about 30% below its 52-week highs. As a result, the P/E ratio has fallen to around 6.5. Admittedly, valuations near S&P 500 averages would likely serve as a sell signal. Still, even compared to other midstream oil stocks, this multiple appears extremely low. PSX will also pay its investors well while they wait for a recovery. This year’s annual dividend of $3.20 per share pays stockholders a yield of almost 3.7%. This payout has also increased every year for the last six years. Further, unlike many oil stocks, PSX has seen earnings estimates for this year continue to rise. Also, even after profits more than doubled this year, they should continue to increase through at least 2020. This should ensure continued dividend hikes and could possibly provide a catalyst to turn PSX stock around. Royal Dutch Shell (NYSE:RDS.A, NYSE:RDS.B) resembles BP in many ways. Like many of the other largest oil stocks, it also participates in all parts of the oil business. Its upstream operations receive a great deal of press. However, Shell also produces and sells products such as chemicals, LNG, electricity and even carbon emission rights. Hence, its downstream operations will offer some protection from the effects of lower oil prices. Like BP, the stock has traded in a range for more than 20 years. Hence, investors will likely flock to Shell stock for its dividend. Although it has not increased since 2015, it has risen steadily over time. For now, the annual payout stands at $3.76 per share, a yield of almost 6.5%. Despite the range-bound nature of the stock, gains remain possible. RDS.B stock currently trades at just under $60 per share. In both 2007 and 2014, the stock price has neared $88 per share only to drop off. I do not see a catalyst that will take Shell stock above that double-top. However, the current P/E ratio of 11.6 comes in well below its average valuations. Even if conditions remain the same, Shell holds the potential to serve investors well no matter what happens to oil prices or even to RDS.B stock. 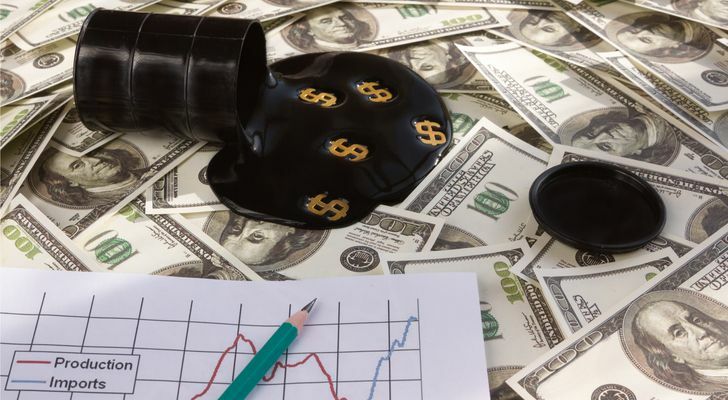 Article printed from InvestorPlace Media, https://investorplace.com/2018/12/5-oil-stocks-to-buy-even-if-oil-prices-keep-falling/.